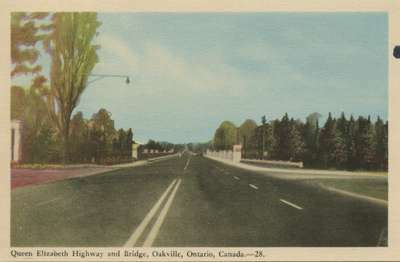 The QEW was officially opened in 1939 (see refs below). The cars, in enlarged image are late 1930s - 1940s - early 1950s images. My final guess would be "circa 1939-40" to coincide with the 1939 Royal Visit by King George VI and his wife, Queen Elizabeth.